Only Trace Minerals is a dietary supplement supporting normal immune function, calcium and glucose metabolism. Only Trace Minerals is recommended for those wishing to increase their intake of minerals. Life Extension Only Trace Minerals contains bioavailable forms of minerals supporting normal immune function, calcium and glucose metabolism. 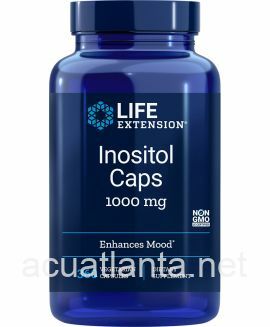 Zinc is a mineral which supports normal immune function, taste sensitivity, protein and DNA synthesis, insulin production, reproductive organ development and sperm motility. Zinc also supports normal growth and development during pregnancy, childhood, and adolescence. Chromium plays an important role in supporting normal blood sugar levels in those within normal levels when used as part of a normal diet. Boron is an essential nutrient for normal calcium metabolism and normal bones and joints. Vanadyl sulfate is an effective form of the trace mineral vanadium and helps with tissue sensitivity and support already normal glucose metabolism for those within normal range. As a dietary supplement, take one (1) capsule daily with food, or as recommended by a healthcare practitioner. Only Trace Minerals product is available only from licensed healthcare professionals. 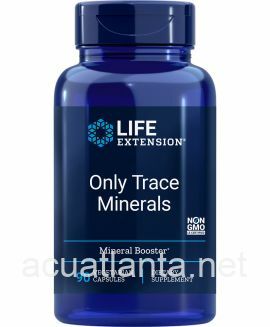 Buy Only Trace Minerals Online here at AcuAtlanta.net or our clinic. Customer who purchased Only Trace Minerals 90 capsules online also bought the following products which may be of interest to you.